Keanu Reeves has clearly spent his time since The Matrix delving into the rich world of Hong Kong martial arts flicks – and judging from Man of Tai Chi, which screened at the Toronto International Film Festival last week, it was time well spent. 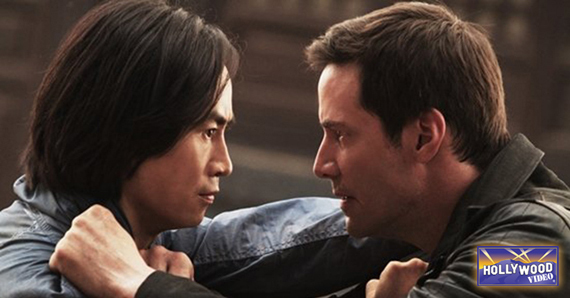 The story of a gifted martial artist forced into illegal underground fighting, and the shadowy businessman who delights in corrupting him, is partially based on the life of Reeves’ co-star and real-life stunt man Tiger Chen. It’ll also star Karen Mok, a big name in Hong Kong cinema who’s already familiar to Western audiences from movies like Shaolin Soccer and Around the World in 80 Days. Mok will play the head of the police task force on the hunt for the fight ring. The thrilling prospect of seeing Tiger Chen in fight scenes choreographed by Yuen Woo-ping (Drunken Master, The Matrix, Crouching Tiger, Hidden Dragon, Kill Bill, Kung-Fu Hustle and so many more) makes it incredibly frustrating that so far, the film will only receive a limited U.S. release on November 1. This entry was posted in The HV Blog, Trailers and tagged hong kong cinema, keanu reeves, man of tai chi, trailers by summerm. Bookmark the permalink.